© 2016 Starry Star Illustration. 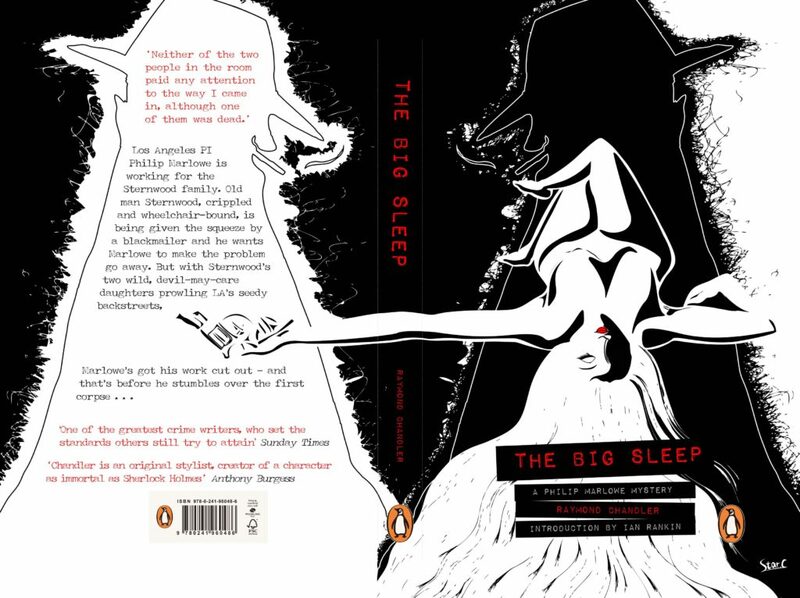 This the book cover of “The big sleep", and this scene is in chapter 4. One of the main characters who was naked on the bed and try to seduce the detective. She held the gun as she laid in front of the detective. I designed that her hand cross the back of book because at the end of story she shot to detective.